The agriculture market in the US for food grains is approaching 10 billion dollars and the amount of technology to drive this revenue is requiring today’s farmers to modernize their operations. Companies enabling this change will lead in this evolution. 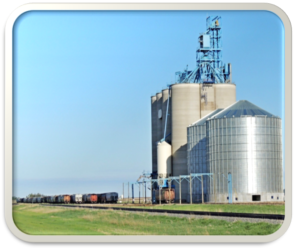 This case study shows how the Industrial Internet of Things (IIOT) is applied to grain management by mobilizing data and transforming it into actionable information utilizing Cirrus Link MQTT technology with the Inductive Automation Ignition platform saving time and money. The Ag world has embraced the world of automation. On today’s farms, an owner can be in his tractor controlling his dryer from his cell phone while the tractor drives itself and his phone is getting market updates. Farmers have started investing in systems, which automate their grain storage facilities by attaching a device to their bin, which monitors the outside air along with the environment inside the bin to determine when to operate the fans. This allows farmers to maintain the proper level of moisture of their grain, drying grain when it is too wet, and alerting the farmer if spoilage or hot spots develop in the bins. Smart Grain Solutions saw an opportunity to significantly improve upon this technology. Through careful study, they discovered current grain monitoring systems could only read specific brands of temperature and moisture cables, and that each bin monitored required a dedicated controller. Smart Grain Solutions set out to develop a controller, which could read a wide variety of cables and sensors, and use a PLC system to control an entire site versus just one bin. These developments allow a customer to use any sensors and cables they already purchased instead of being forced to replace perfectly good sensors and cables. The customer can take advantage of the significant cost savings by having one controller per site versus one controller per bin. The customer benefits by leveraging the most advanced, cost-effective multi-protocol grain management system on the market delivering optimum grain quality. Smart Grain Solutions having the right technical solution at the farm completed, they needed to find the right HMI/SCADA solution to fit their need and approached APQ Engineering for help. APQ Engineering is a systems integrator serving Minnesota, North Dakota, and Wisconsin. APQ Engineering is well established with successful projects, across the country, and many industries, the staff is experienced with MQTT Industrial Internet of Things (IIOT), SCADA, OEE/Downtime, and control systems that improve productivity. Data is vital in the operation of this solution and the data is at the edge of the network contained in PLCs. The typical solution for remote data acquisition is accomplished by the SCADA/HMI either directly or through an OPC server polling the PLCs in their native protocol over a network connection. This is the same strategy that has been in place for decades and works but presents problems and has limitations of driving innovation, interoperability, bandwidth inefficiencies and security. APQ Engineering’s Nick Skoog and Aaron Lehto used their knowledge of MQTT and IIOT to break the mold by changing the method of polling for data over the network to implementing an edge initiated message oriented middleware(MOM) architecture. This new architecture decouples the data and enables the acquisition of more data, securely, and efficiently into Ignition. Ignition is the database-centric, web-based HMI/SCADA software package from Inductive Automation. Inductive Automation has created major buzz within the Industrial Industry over last decade changing the model of HMI/SCADA and leading innovation. As being a change agent, Inductive Automation saw the value in creating strategic alliance with Cirrus Link Solutions for its IIOT solutions ideally suited for Ignition platform enabling it to connect to MQTT architectures. APQ Engineering identified the requirements for Smart Grain Solutions. They needed a flexible, easy to integrate HMI/SCADA solution to acquire large amounts of I/O over cellular technologies to have rapid responsivity with security and control integrated into Ignition. To solve this, they utilized the Cirrus Link MQTT Modules for Ignition to enable an MQTT architecture. 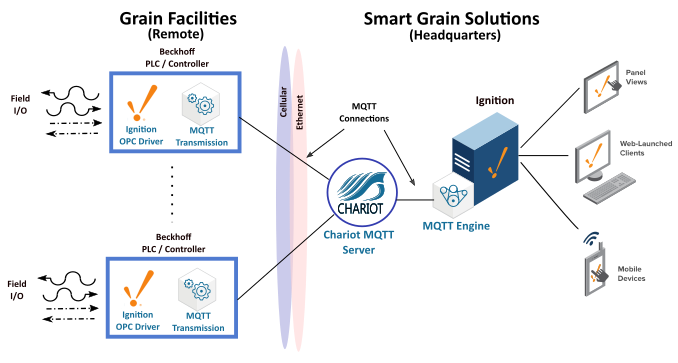 The solution is depicted below where the Cirrus Link MQTT Transmission Module and Ignition OPC Driver is installed in a Beckhoff PLC at the grain elevator or storage facility. It connects to a Cirrus Link Chariot MQTT Server over cellular or wired network where the Ignition platform subscribes to the PLC data as a client with the Cirrus Link MQTT Engine module installed. This solution offers many benefits and with the initial rollout complete, APQ Engineering provided the following determinations why MQTT was key to the system implementation. MQTT is much faster and lower cost to setup than the older polled connection methods. The MQTT engine and transmission modules integrate very well with industrial controls eliminating the need to program or maintain highly specialized IT systems. 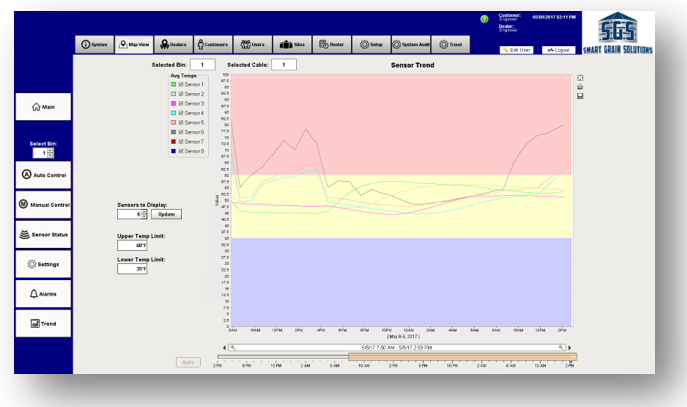 The low bandwidth of MQTT publishing data was critical to it being cost effective for sites that may rely on cellular connections when compared to polling.